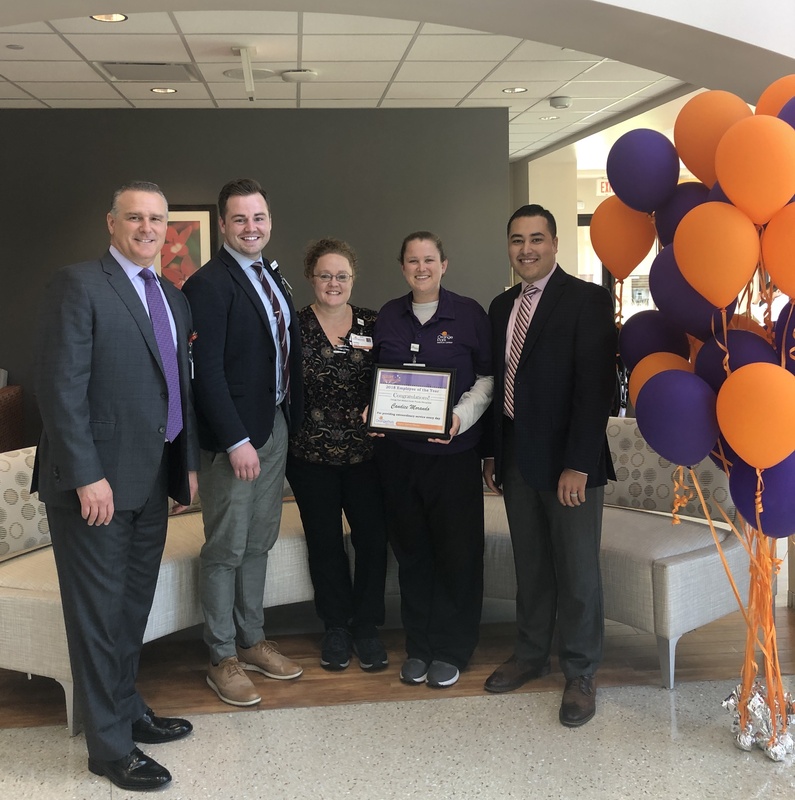 SureTurn team member Candice Morando in Jacksonville, Florida was named as 2018 employee of the year at her hospital. As a 255-bed facility with 1,700 total employees, the accomplishment was no small feat. Candice first won employee of the quarter after she quickly and accurately recognized a change in condition of a patient during a transport. That win led her to be eligible for the employee of the year award. "[Candice] serves as an example to everyone in the facility on how to effectively communicate in order to provide the best experience for our patients." Vice President of Patient Flow Alex Romero and Director of Transport Angela Norwood said of Candice: "Candice began her career with HHS in 2013, and she was a great fit right out of the gate. Candice has always been a team player and always strives to make sure her fellow team members are just as good or better than her. We are pleased to see how Candice has grown as a person and sharpened her skills as a transporter. We all enjoy seeing the relationships Candice has developed with all of our clinical partners around the facility, and she serves as an example to everyone in the facility on how to effectively communicate in order to provide the best experience for our patients."